In the old film noir movies, the femme fatale was a staple character, an attractive and seductive woman, especially one who brought disaster to any man who became involved with her. To be fair, there were plenty homme fatale characters in movies over the years too. But how many movies have a terra fatale character, a seductive and beautiful geographical region that brought disaster on those who chose unwisely to visit or settle in? A few quickly come to mind, Pompeii and Vesuvius, for instance (although Pompeii was not the greatest movie ever made), and Southern California (Volcano, Earthquake, 2012). Some lands are simply more hazardous than others. The lands near a subduction zone are the most dangerous on Earth. To live along a convergent boundary, in the zone of the magmatic arc, or on an island of an accretionary wedge is courting disaster. The worst earthquakes, and some of the most violent volcanic eruptions occur near such boundaries. We've been slowly conducting a journey across an ancient subduction zone, one that is no longer active. 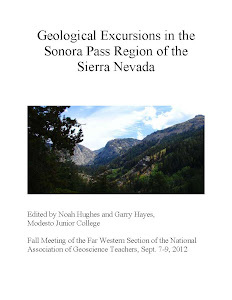 It's exposed in the Coast Ranges, Great Valley, and Sierra Nevada of California, where the rocks from the heart of the zone have been exposed by erosion. The rocks have been severely changed by heat and burial deep in the crust of the Earth, and now provide valuable information to geologists. In our last two posts we took a look at some of the strange rocks found there, the chert and pillow basalt of the Franciscan Complex. Today we are looking at some of that seductive scenery, the terra fatale. The subduction zone is no longer active, but this isn't to say the land isn't still dangerous. 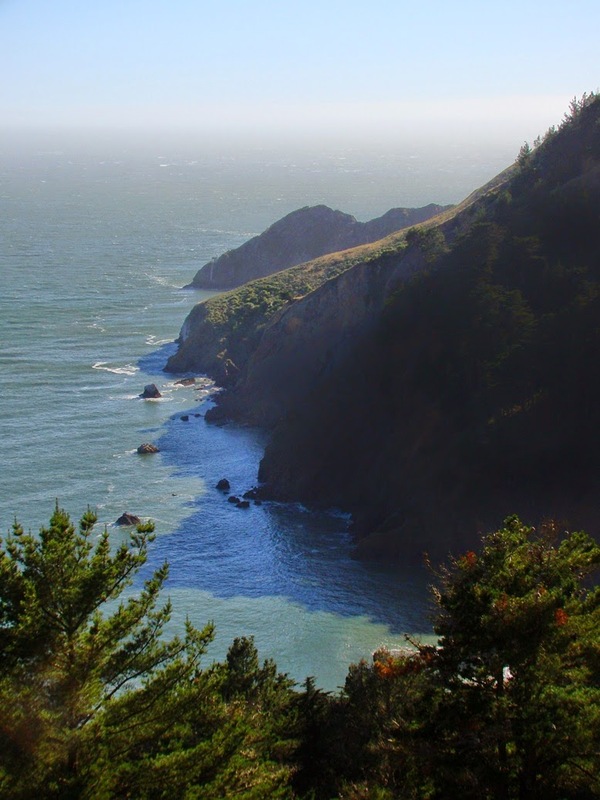 The San Andreas fault lurks just offshore, and the steep terrain invites landsliding and severe shoreline erosion. 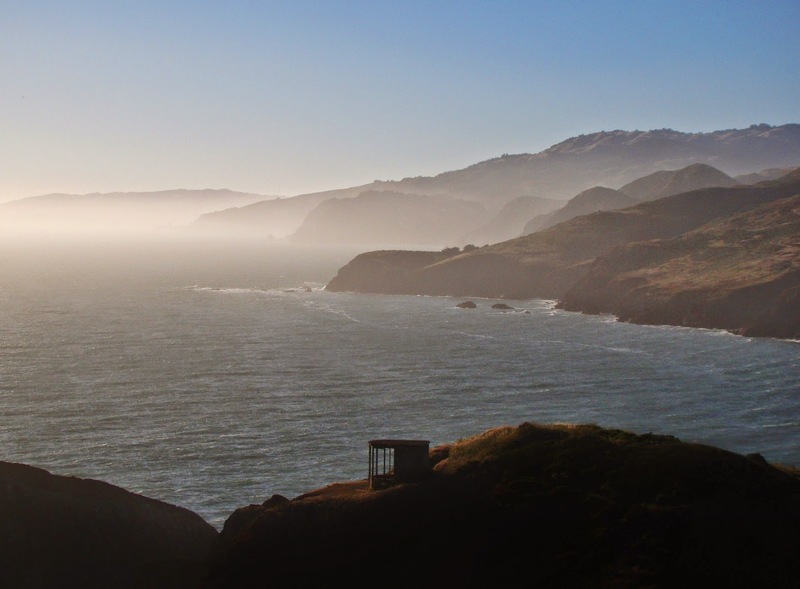 The western side of the Marin Headlands has never been developed to the extent of the more sheltered eastern side along San Francisco Bay. 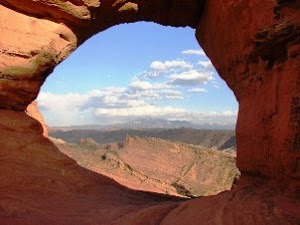 But in the extreme ruggedness, we can find great beauty. A system of roads and trail explore this spectacular landscape. Conzelman Road winds across the slopes above the Golden Gate, offering a view of the Point Bonita Lighthouse (top picture). 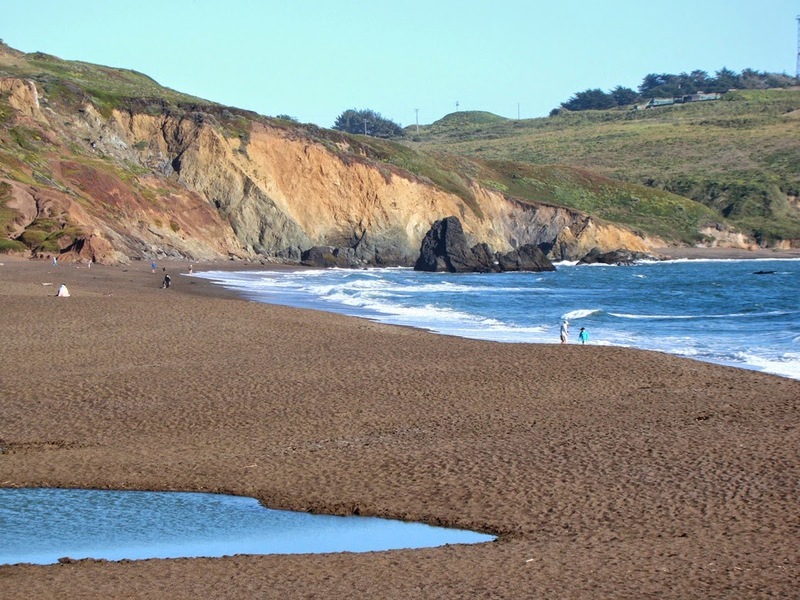 The road ends at Rodeo Beach, a small lagoon that has been blocked off from the open sea by a baymouth bar. The color of the sand looks off to those who are used to white sand beaches in such places as Florida. 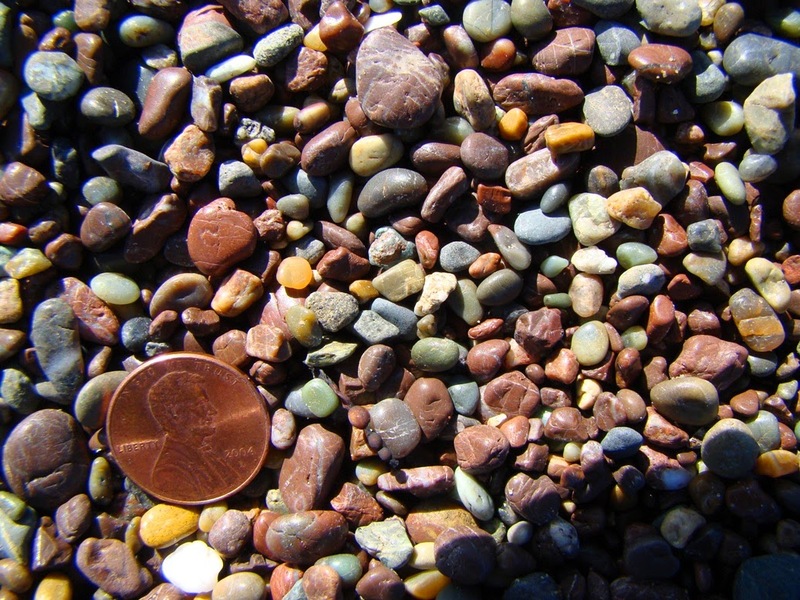 A closer look reveals why: the sand has very few clear quartz grains. The grains are mostly composed of the chert eroded from nearby cliffs. 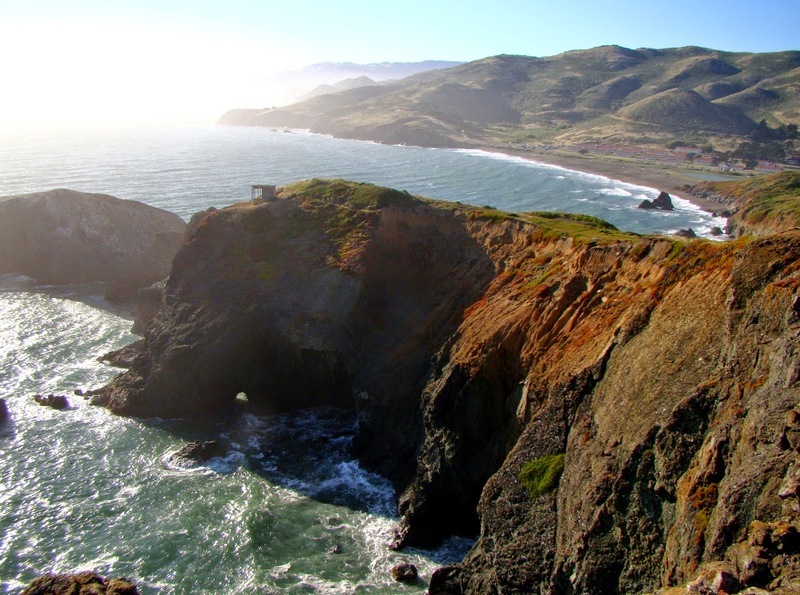 Another road winds across the ridge between Rodeo Beach and Point Bonita, providing stunning views of the steep coastal cliffs, Rodeo Beach, and the lighthouse at Point Bonita. Bird Island, seen in the second picture of the post, and on the far left side of the picture below, is a resting and roosting site for Cormorants and Brown Pelicans. 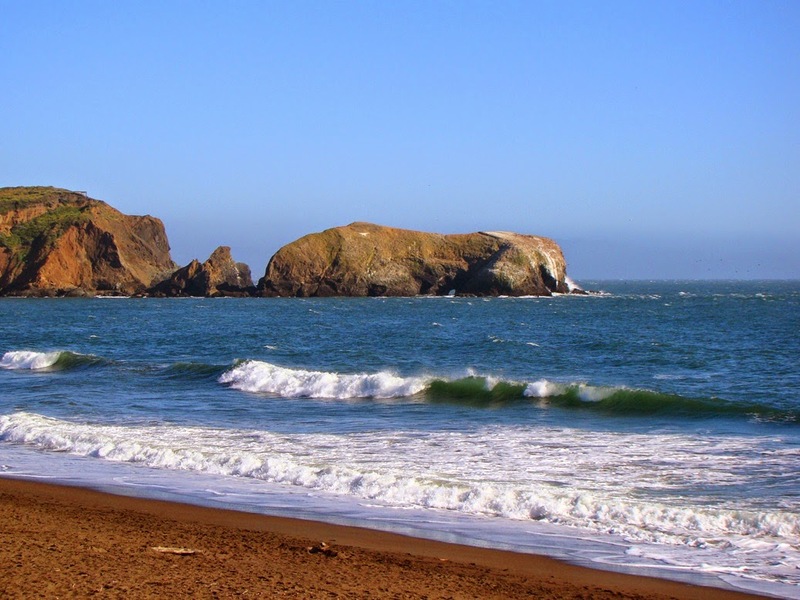 Although the Marin Headlands are protected as a natural area under the administration of the Golden Gate National Recreation Area, there are signs and hints of intense human use. As mentioned previous posts, numerous cannons and gun emplacements dotted the cliffs, especially during World War II. Incredibly, some 2,000 acres were sold in the 1960s for housing developments that would have housed 30,000 people. Thankfully, the project failed, and the land was preserved as parkland. 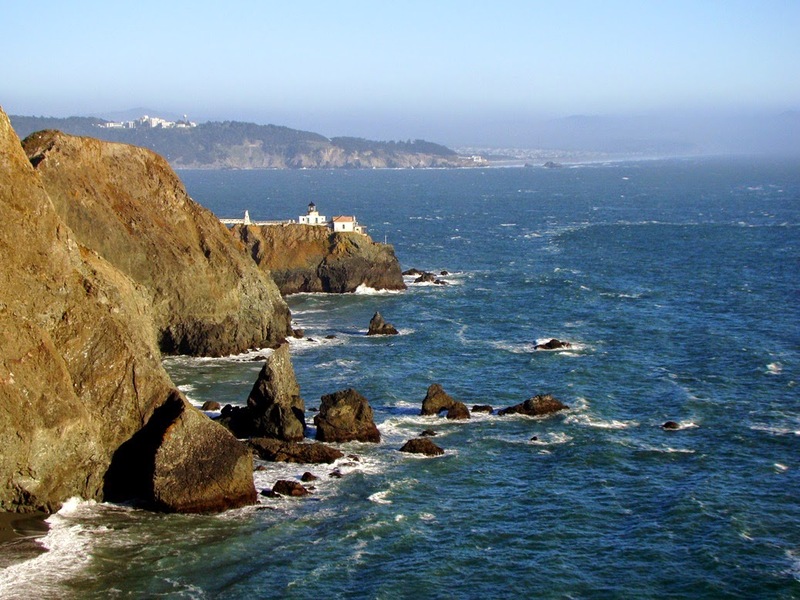 The Point Bonita Lighthouse has stood on this rocky bluff for 160 years guiding ships into San Francisco Bay. A lot of ships missed. Around 300 ships have run aground over the years, including the wreak of the steamship City of Rio de Janeiro in 1901, with a loss of 128 lives.